Category: LED Display Boards & LED Display Signs. Instant messages can be posted to each sign through intuitive PC based software – announce welcome messages, news etc. 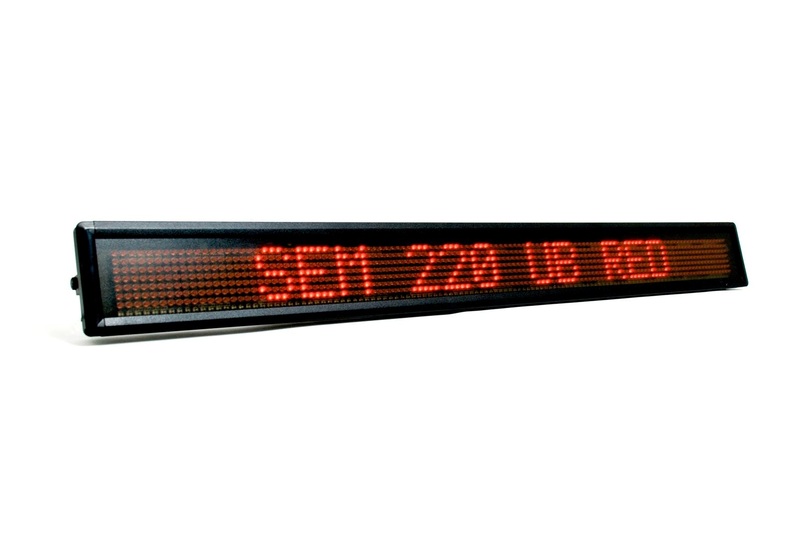 Each board can display up to 20 characters at any one time, additional wording can be set up to scroll to get your message across. The above include an IR keyboard, fixing brackets, software and PC cable. Return to base warranty: 12 months parts and Labour – 100,000 hours on LED’s life span.